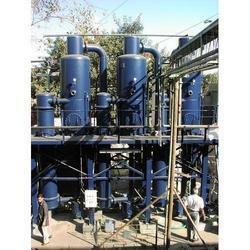 Our range of products include stripper column, solvent recovery system and distillation column. KEPs expertise in manufacturing different type of stripper column for solvent removal from an effluent feed stream. 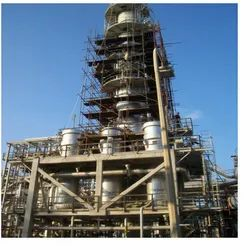 High-performance stripping column is specially designed for various applications like low boiler solvent removal from Effluent Water, de-acidification, and deodorization of fats and oils in refining plants. Low boiling solvents like methanol, ethanol, IPA will be removed from effluent by the joint action of the stripping steam and vacuum. The steam requirement will come down by KEP’s optimum design where the heat recovery is done at every stage. KEP Engineering having expertise in design and manufacturing of solvent recovery system. Lower capital expenditure (CapEx) due to the lower number of trays required. Reduced energy requirements and significant savings in operating costs (OpEx). Increased quality of the products, due to higher separation efficiency. Higher yield and equipment capacity as compared to conventional distillation. Using our distillation columns you have less investment and low maintenance cost because it has high efficiency of mass transfer as a result - smaller diameter and lower height of distillation column. In pharmaceutical, chemical, dye-manufacturing solvents are used on a regular basis. 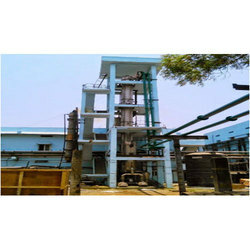 For economical operation, KEP is providing following systems to recover the solvents with high purity.